The movie is tilted as SherKhan. The movie has been delayed for over 5 years now. It was supposed to release somewhere in 2012. 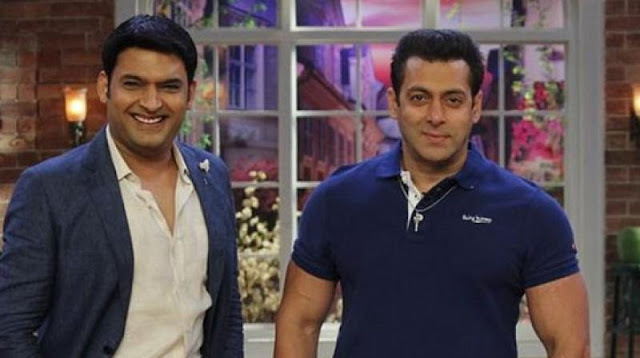 A few years back when Sohail Khan and Kapil Sharma were associated with Comedy Circus, Sohail has promised Kapil to cast him in a movie. But that movie got delayed and Kapil Sharma moved on from that show. But it seems like Sohail Khan will keep his word after all. Salman Khan will be the lead of the movie . However, Kapil's part has not confirmed yet. But Kapil Sharma has snubbed this report and told pinkvilla that these are just rumors. But people have reason to believe that their favorite comedian may share screen with Salman. During the promotion of his upcoming movie; Salman Khan told media that he is busy in the shooting of Dabangg3 , SherKhan, and other projects. SherKhan is still a possibility and that is the reason why people are speculating these rumors. Other than these rumors, Kapil Sharma has returned to twitter after almost three month. Now, let's see if he will share screen with Salman Khan or not.